Paolo Bodega (Lecco 1961), obtained a diploma and a master’s degree in Industrial design at the European Institute of Design (I.E.D.) and graduated in Architecture from the Polytechnic University of Milan in 1987. During his university years he works in the studio of his father Carlo and he is a researcher at the Natural structures research centre of Milan, where he explores the relationship between light and natural structures (from 1984 to 1986). 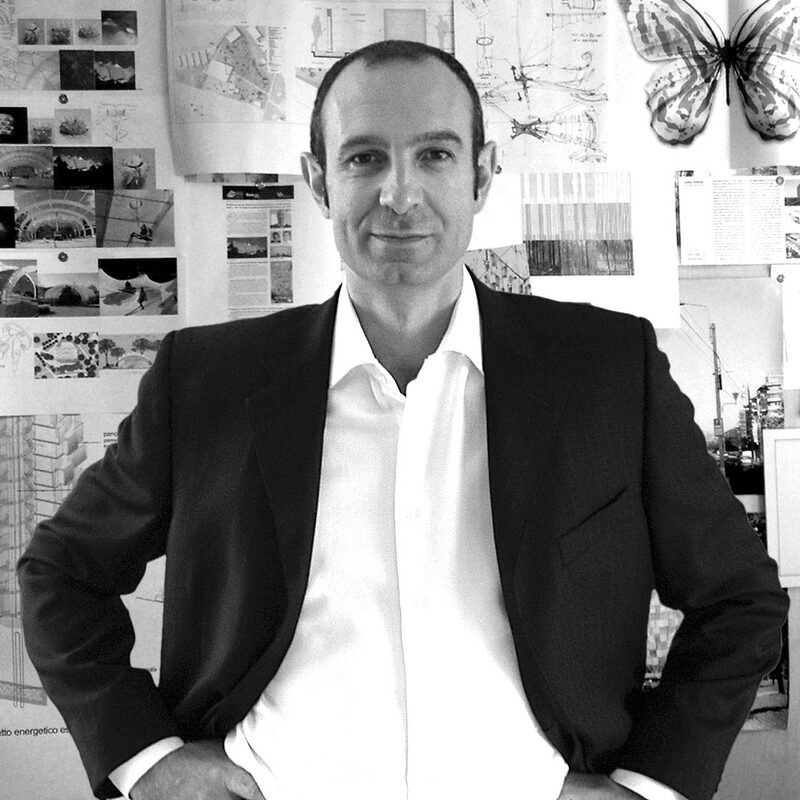 He is part of Renzo Piano’s Building Workshop (RPBW) design team in Genova (1987 – 1992), and continues his collaboration with the studio until 2000 as Local Architect. From 1992 he exercises his professional activities first as an Associate in “BCP Associati” and from 1997 continues to work in Lecco in his own studio, Paolo Bodega Architettura, developing projects and realizations, where the multidisciplinary research is based on the typological and technological innovation with a great emphasis put on such aspects as environmental, energy and economic sustainability, concerning the designing process at the building, urban and landscape scale. Since 1993 offers the first sustainable realizations, spreading the principles through publications, organization of seminars and exhibitions. From 2002 to 2008 he is a freelance lecturer at the Technical Architecture Laboratory I at the VI Engineering and Architecture Faculty of the Polytechnic University of Milan. The studio is currently engaged in projects of a national and international importance in such emerging countries as China, Libya, Romania, Russia, Tunisia, Estonia, comprising the Heritage Museum in Tripoli, Libya; the Royal Butterfly Golf in Arad, Romania; an ecologically sustainable satellite village for 5000 inhabitants “Sapphire of the Urals” in Ektul, Russia and a resort + spa Valgeranna in Estonia, a residential area Sun Flower in Riga, 0 impact, and a new Engineering and Architecture Faculty campus for the Polytechnic University of Milan for 2.500 students, the new extention of the international Airport in Krasnodar and the Modular Building Schools in Kirkuk Governatorat, Iraq. The project Crystal Tree, an energetically autonomous building, is exhibited at the International Architecture Exhibition “La Biennale di Architettura” in Venice. He gives a lecture on “Architecture & Nature” in San Paolo, Brazil and wins the first prize “Lega Ambiente” (“Environmental Association”), with the “Home of Well Being” project, a zero impact, zero-consumption and zero emissions building prototype. The projects carried out by the studio have participated in various national and international exhibitions and publications.